Schoolchildren should be given simple radio kits to build so they can learn basic electronics, communications minister Ed Vaizey said yesterday. "It would be great to get amateur radio kits in schools like we have with the Raspberry Pi," he added, referring to the cheap PC that's sneaking into classrooms to promote computer science to youngsters. 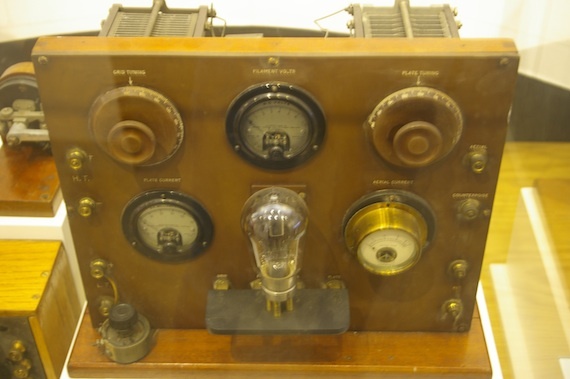 The Tory MP spoke at the opening of the Radio Society of Great Britain's National Radio Centre, which aims to show groups of schoolchildren and other visitors the history and principles of radio technology. It is hoped that teaching tykes the foundations of wireless communications will help them appreciate and take a greater interest in things they take for granted - from Oyster cards to 3G mobile web surfing. "Looking around the room, I can see amateur radio appeals to a certain demographic, but there's nothing wrong with that," Vaizey told the society's radio hams. 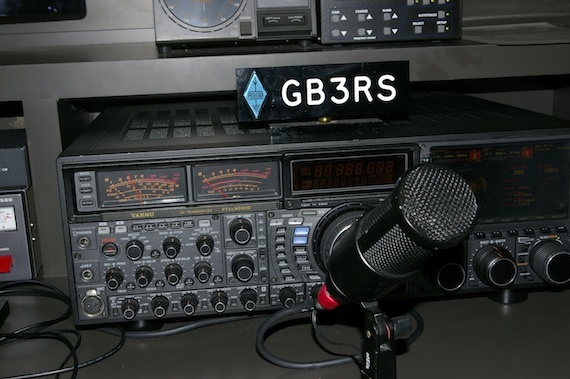 He acknowledged that the broadcast hobbyists were involved in "long-term technical work, which may not have the glamour of jumping out of aeroplanes but still contributes to national greatness". The small centre was set up at Bletchley Park, home of the boffins who cracked Nazi Germany's Enigma-encrypted messages during the Second World War. The building has a cinema, four historical radio exhibits and a functional broadcast centre packing some top-end kit - including a £9,000 Yaesu FTDX-9000D transceiver complete with a HF aerial, and a Kenwood TS-2000 VHF/UHF transceiver hooked up to a satellite-tracking remote-controlled aerial. Carlos Eavis, who oversees the National Radio Society's education efforts, said the amateur radio kit equivalent of a Raspberry Pi would be a £1.50 crystal set: it doesn't need a battery and just requires wiring up an aerial, tuning coil, diode, a couple of capacitors and an ear piece. That's all you need to pick up primitive AM radio. For a group of 12- to 13-year-olds, I'd suggest a battery-powered transistor radio. Even with a simple one, you can learn what all the components do. An average one is £5 or £6. You can play around with all the aspects of radio on a computer but you're not building the hardware that way. If you get a group of 16-year-old girls and talk about 'amateur radio' their eyes glaze over. But if you take their mobile phones and show that you can read the Bluetooth signal coming off it they pay attention. "You have to explain to them that their phone is a radio device," Eavis continued. "They use radio every day even if they don't listen to the radio. They always think about radio in the broadcast sense - like Radio 4 is something that their parents listen to.